Step 1 is to decide who is participating in the campaign. Typically, the executive team at the law firm tasked with managing the PR campaign may include a director of marketing and a partner, or several partners, who will oversee not only the budget, but also the results of the efforts. Which attorneys have solid business that needs more growth at this time? 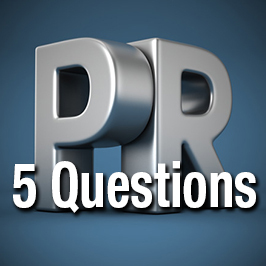 Which attorneys expect to be part of the PR campaign, with the team supporting their needs for media exposure? Which attorneys, or practice areas, need a boost to raise visibility and have greater opportunities with prospects? Once that list is generated, I make sure to categorize it by practice area and then by priority in terms of who the firm wants to focus on first, or most. The PR team charged with earning media results from these attorneys should have this list handy, and know that it will change at times depending on hirings and departures, as well as what is currently newsworthy. Not every name on the list will receive public relations support at the same time; media relations has a flow to it, which becomes more apparent after a few months into the campaign. In my practice of PR, I like to spend time right at the beginning on getting to know each of the attorneys on my Who’s Who list. The tricky part is getting everyone in the same place at the same time (or on a conference call together from disparate office locations). That’s why the Who’s Who list has to be highly prioritized and organized to help structure the meetings that must occur. I tell clients that these meetings can be as short as 20 minutes or as long as an hour, and that we can adapt as needed, depending on the attorneys’ schedules and availability. I want to identify the facts about the attorneys' practices, to reveal the topics each lawyer feels not only knowledgeable about, but also eager to discuss with journalists. But let's pause here. Lawyers may not really know how media relations works, so we need to take a brief detour through Media Relations 101. How Does Media Relations Work? Lawyers often see their bar colleagues in newspapers, magazines, broadcast and online, but do they know how those attorneys were selected to contribute to those media outlets’ coverage of particular subjects? I don’t like to assume anything, so I start at the beginning and explain that earning PR results is a professional skill and not a magic trick. To earn media coverage, a lawyer’s credentials must be presented to the right reporters, i.e., those definitely covering the subject being pitched. But generally, reporters want more than a biography of an attorney – they want to know how this lawyer will be relevant to their reporting needs, what insights this lawyer can offer about a legal or business matter, and whether the lawyer’s experience lends itself to providing solid opinions toward a story idea. I explain that the lawyer quoted in the Wall Street Journal was probably pitched by a publicist to a specific reporter, knowing that the reporter could find the attorney’s background to be helpful in crafting a story idea or rounding out a story in the works. The best pitches include a few bullet points about what the attorney can discuss with the reporter and an offer of a phone meeting. (It’s rare these days for these meetings to be in person.) I advise lawyers that this pitching effort may result in an immediate request for an interview, but just as often could lead to something short of an interview, like a background meeting (or even less, such as a mere “thank you, I’ll file this information away and refer to it when needed”). An interview itself may result in immediate coverage, a story down the road or nothing at all. This is an aspect of practicing PR that is unpredictable, which is why it’s so important to have a continuous campaign to increase the chances of earning coverage. Some things stick; others miss. It’s an important element of PR campaigns and one that ideally will keep the attorneys encouraged, interested and available. After learning about the attorney's practice, I want to find out about his or her clients. Who typically hires the lawyer? What is the decision-making process, and who is involved? Do the clients come from specific industries or geographic locations? Is the decision-maker an executive at a business or the general counsel at a company? It's critical to understand who the buyer of legal services is because that becomes the target audience for media relations. The job of the publicist is to identify the media outlets – online, print and broadcast – that reach target audiences. For example, a labor and employment attorney hired by business executives would be wise to earn media coverage not only in top-tier business media outlets, but also in the trade publications that serve the human resources industry. At this point in the conversation, I usually like to discuss how we'll reach the target audiences or how the campaign actually works. While some lawyers will feel most comfortable doing interviews with reporters, others will find more satisfaction from writing bylined articles or giving presentations. It's important to find out each person's comfort zone and what they feel they have the time to work on, since writing a bylined article is likely to take more time than answering a reporter's questions in a 30-minute call. Another area of discussion is whether the attorney would like to do background interviews with reporters to develop relationships and help reporters understand legal issues, knowing that such meetings may not result in any immediate editorial coverage but could in the future. Background interviews are typically conducted on the record, meaning all of the attorney's answers could potentially be used in future articles. It's important to know upfront whether the meeting is in fact on the record or if it is an off-the-record conversation. Once the kick-off meeting is completed, it's the publicist's job to digest the information and prepare a PR plan summarizing each lawyer's practice, target audiences and preferred tactics. The plan serves as a roadmap or guide for the PR campaign, and will probably change over time as practices change and more discovery is required. Interested in starting a PR campaign? Contact me, Liz Bard Lindley, at llindley@jaffepr.com. SVP, Marketing & Business Development - Uses a unique blend of experiences to benefit law firm clients.